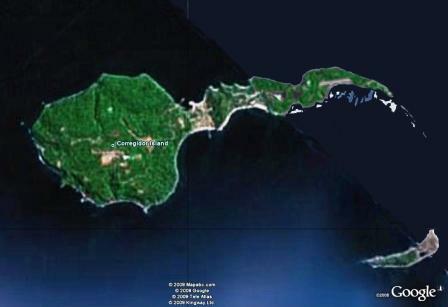 Shaped like a tadpole, Corregidor Island lies at the entrance of Manila Bay. Because of its strategic location, it became a focus of attention for the military commanders defending the city of Manila. Not surprisingly, the island was the site for numerous battles with the most notable during the Second World War called the “Battle of Corregidor”. 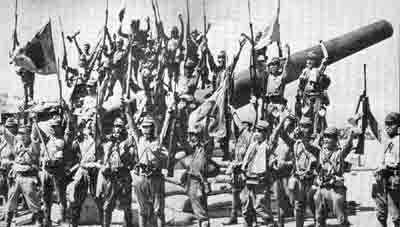 The island also played a key role in the subjugation of the Philippines islands by the Japanese forces during the initial stages of the war. Today, its role has significantly changed becoming an important historical monument as well as a touristic attraction for the Philippines islands. 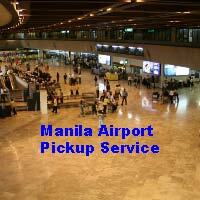 The island is located 48 kilometers westward of Manila and has a landmass of 9 square kilometers. Its management comes under the purview of the city of Cavite. Because it partially obstructs the entrance of Manila Bay, it creates two entrances to Manila Bay, a northern and southern entrance. Its rocky geographical landscape also gave the island the nickname “The Rock” most probably after the 1996 Sean Connery’s movie with the same name, albeit about a different island. Geologically speaking, the island is a remnant of the Corregidor Caldera volcano which last erupted one million years ago. It is listed by the Philippine Institute of Volcanology and Seismology as potentially active although the reason for such a listing is not disclosed. The island is 6 kilometers in length and is around 2.4 kilometers in width. Its tadpole shaped head faces the South China Sea and has a flat surface called the “Topside”. This is the site where the headquarters, officers’ quarters and barracks are located. There is also a bank, Movie Theater, parade ground, underground shops and an officers’ club with a golf course. The main artillery batteries are also located here on Topside. The small plateau region that lies between Bottomside and Topside, is known as “Middleside”. A two storey officers’ quarter is located here together with the quarters for non commissioned officers and barracks for enlisted personnel. There is a hospital and two schools for the children of the soldiers staying here. The lower section of the island is known as “Bottomside” and is the stretch of land that joins the head and tail of the island. The Barrio San Jose is located on the southern part of Bottomside close to Navy beach. The army dock with three piers is located on the northern part of Bottomside and eastward is located the famous Malinta Tunnel, the headquarters of General MacArthur and the United States Army Forces in the Far East (USAFFE). If you would like a to know a bit of history have a look here for some history. The oldest landmark on the Island is the lighthouse that was constructed by the Spanish in 1836. It was later replaced in 1853 with a better lighthouse which was decimated during the battle of Corregidor. Today a rehabilitated lighthouse stands at the very spot of the decimated lighthouse. Nowadays, most of the war torn ruins have been left as they are to serve a reminder and memorial of the American and Filipino soldiers that had perished here during the Second World War. 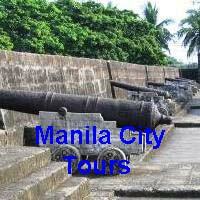 There are tours to Corregidor, that are well worth it, have a look here for Corregidor tours. You can read my thoughts on the tour. 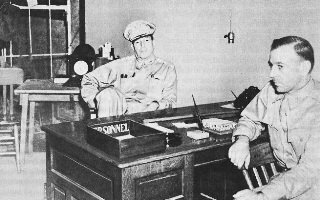 What Did You Think of Corregidor Island? Did you have a great time or were you disappointed? What did you like, what could you have done without? Would you visit again? Do you have a story, a picture, or a tip to share? Tell others about your trip. Show off your photos! It's easy. Just fill in the form below.